Overview: Take a trip across the vast expanse of the homeland with Cross Country Reels, a 5-reel, 9-line slot. Bet 1-5 coins valued at 0.02 to 1.0 to earn enough cash for gas money, or possibly for a new car. 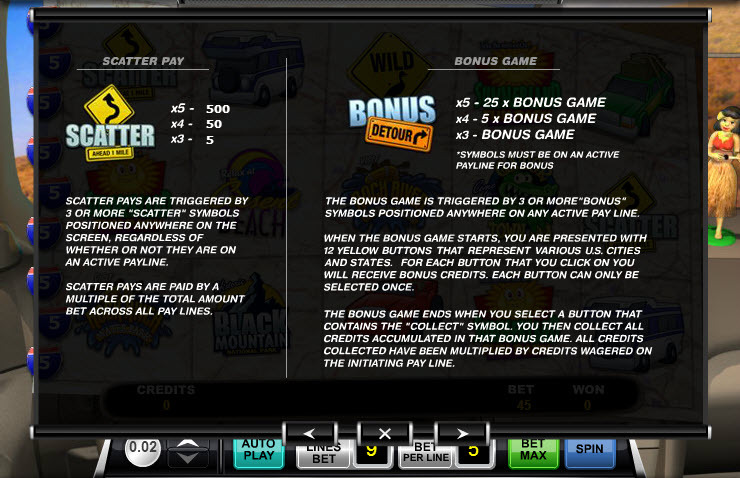 Find three or more bonus symbols on any pay line to trigger the Cross Country bonus game. 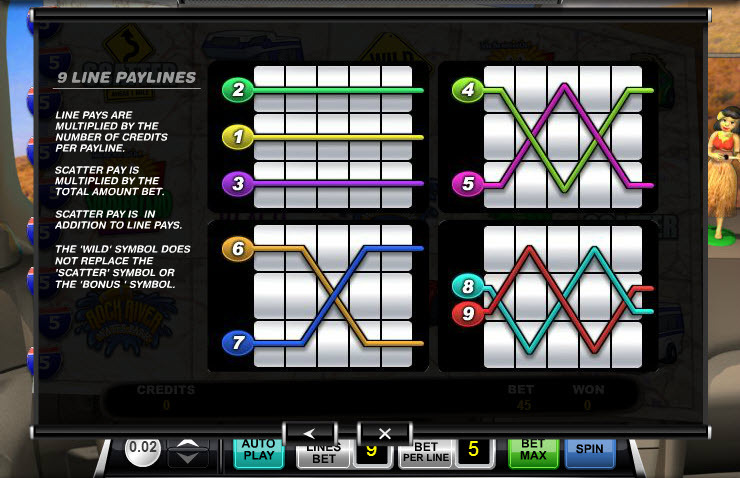 Four bonus symbols will multiply any winnings you collect during the bonus round by four times, while five symbols multiplies them by five. Once in the bonus game, just click on any of the 12 cities listed as choices and win the credit prizes which correspond to the specific city. Keep clicking on cities until the city which has "Collect" has been selected. That will mark the end of the bonus round. Also, keep an eye out for "Wild" and "Scatter" symbols as you play. 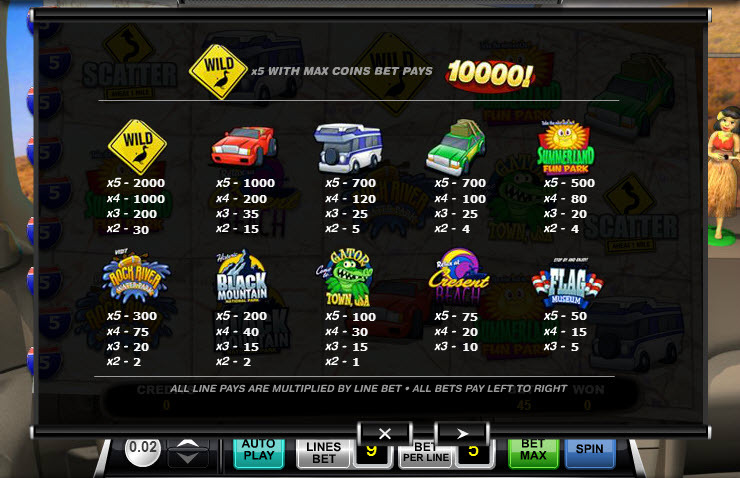 Collect five "Wild" symbols along one pay line with a max bet of five coins and win 10,000 credits. Meanwhile, just get three or more "Scatter" symbols anywhere on screen and earn even more credits. Three symbols will pay five credits, four will pay 50 and five will pay 500. 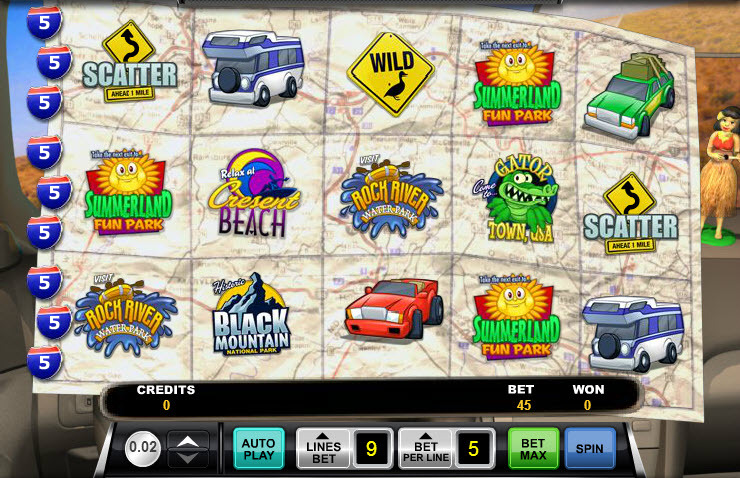 Similar Slots: If you like Cross Country Reels, you might like these other slot machines from Ace Gaming: 5x Wild Diamonds Bonus, Aces High, Crazy Coconuts, Fruit Fuzion, Volcano Bonus, Wild Sushi.